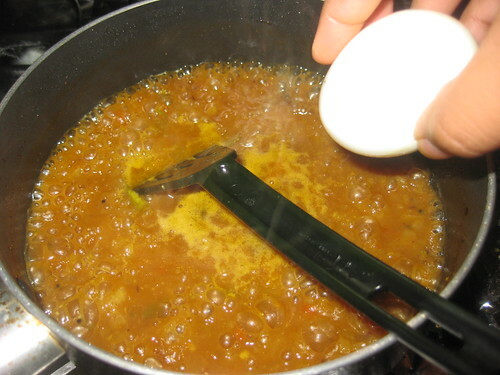 Boiled eggs in water for 15 minutes.Peel them after cooling completely and make slits with a knife. 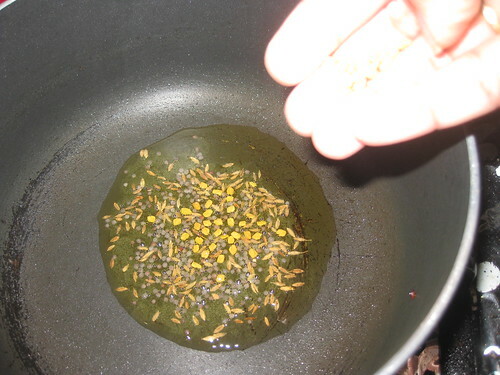 Heat oil in a pan and mustard seeds and let them splutter.Now add methi seeds,curry leaves and fry for few seconds till methi turns brown. 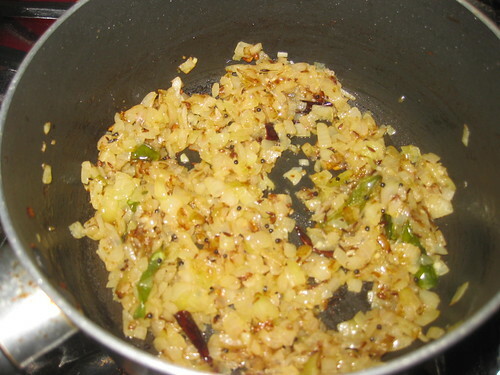 Add chopped onions and green chillies and fry till they turn light brown.Then add ginger-garlic paste fry for 4 minutes. 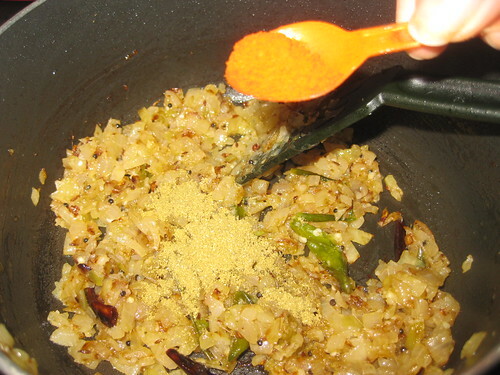 Now add chilli powder,turmeric powder,coriander powder,and cumin powder,mix well and saute for few seconds. 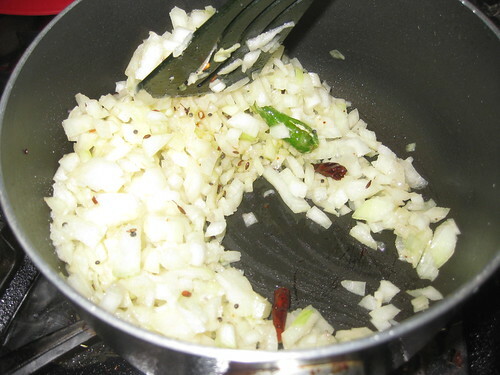 Add chopped tomatoes and fry for 4-5 minute. 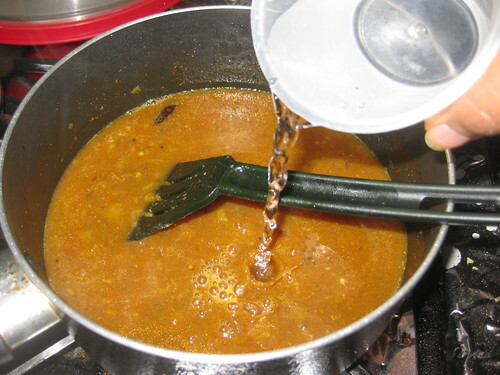 Add tamarind pulp and 2 cups water and bring to a boil.Add salt and jaggery and reduce heat and let it simmer for 2-3 minutes. 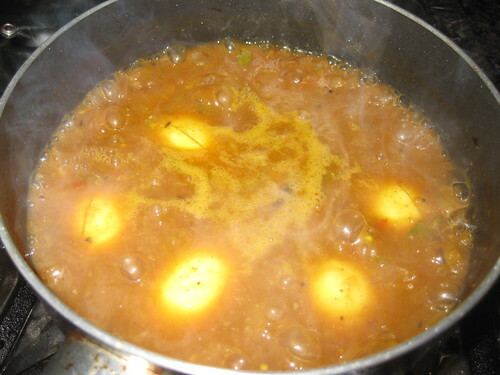 Add the boiled eggs and let it cook in the gravy for 10-15 minutes or till you get the required gravy consistency. 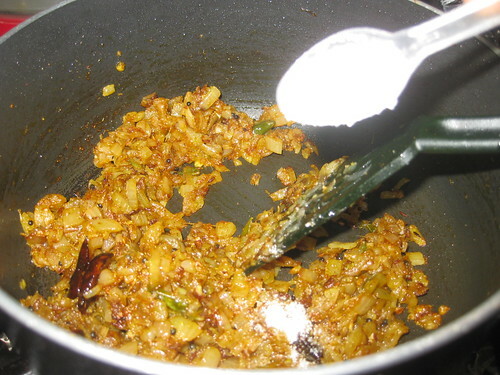 Serve this hot rice . 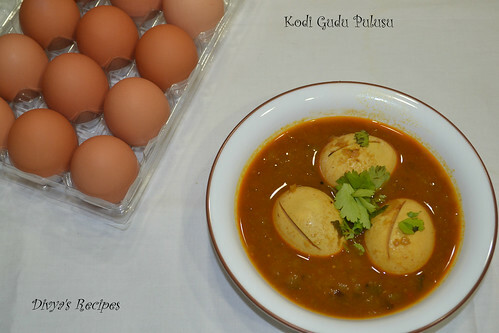 Egg curry looks simply delicious and wonderful dish. 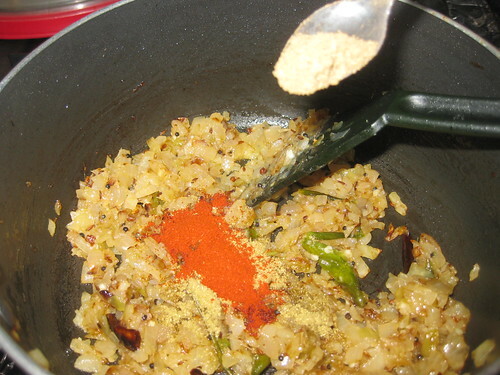 I do make egg kuzhambu, but adding tamarind never strikes me. Looks perfect! 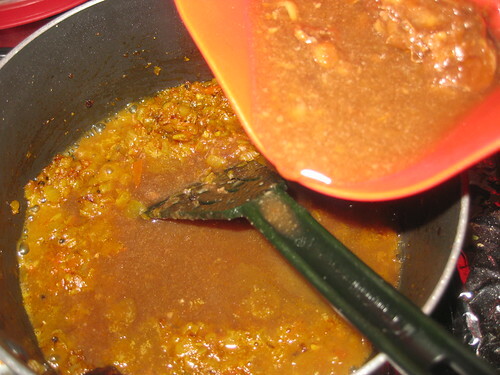 Delicious n tempting tangy curry!!! 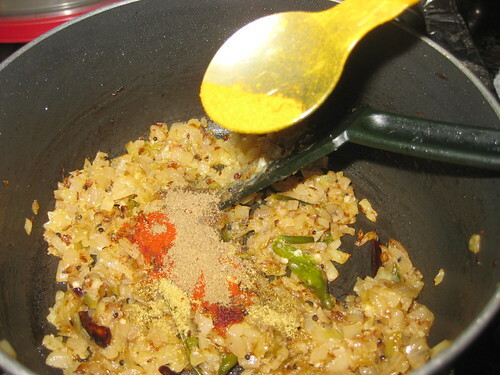 Delicious Curry.. Looks so tempting.. 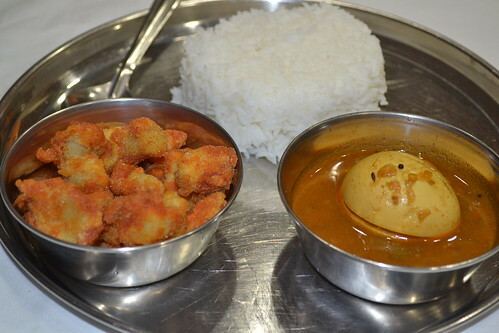 I am hungry now country chicken eggs always gives rich taste to the dish. Well done. 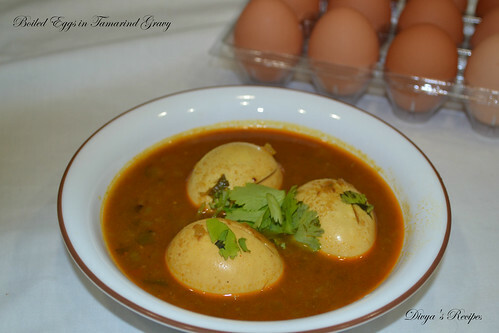 very tempting and yummy Div..
Eggs go well with this spicy and tangy gravy, nice one..
Looks tempting and so delicious, will try out soon!! 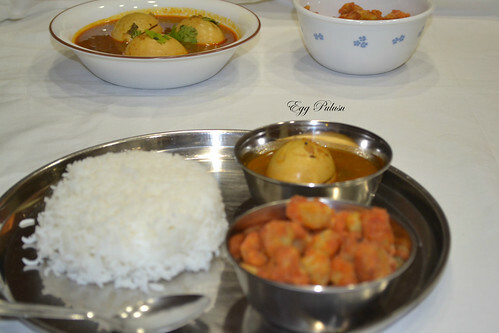 Egg curry tempts me a lot, fabulous one. 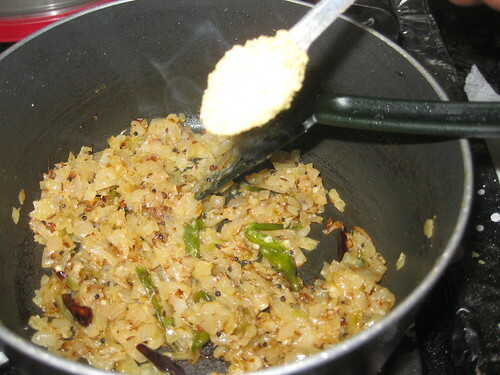 Droolworthy platter, tangy and tempting kuzhambu. Egg in tamarind curry looks very inviting. Very well explained with pictures. 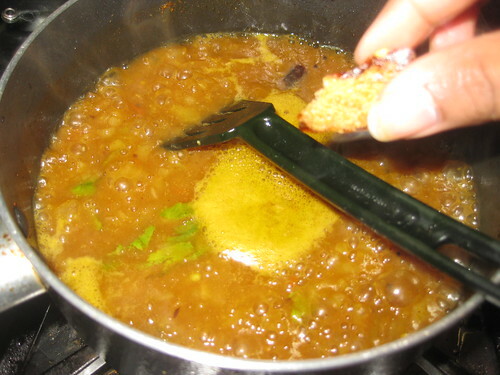 Super tangy n tempting curry!! 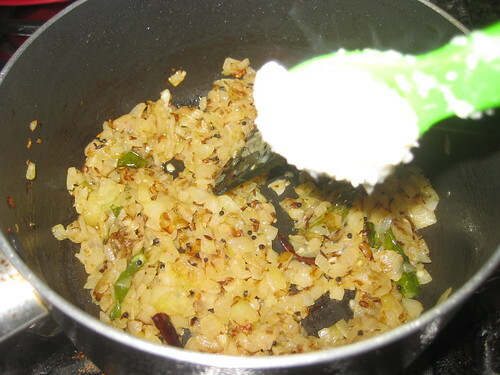 Must have a lot of rice to go this eggs, yummy! 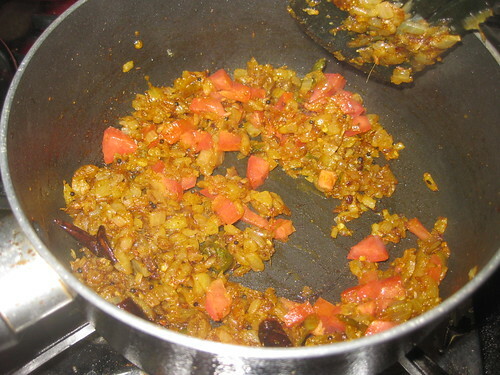 Love this curry..looks yummy! Tamarind and egg is a good combo.